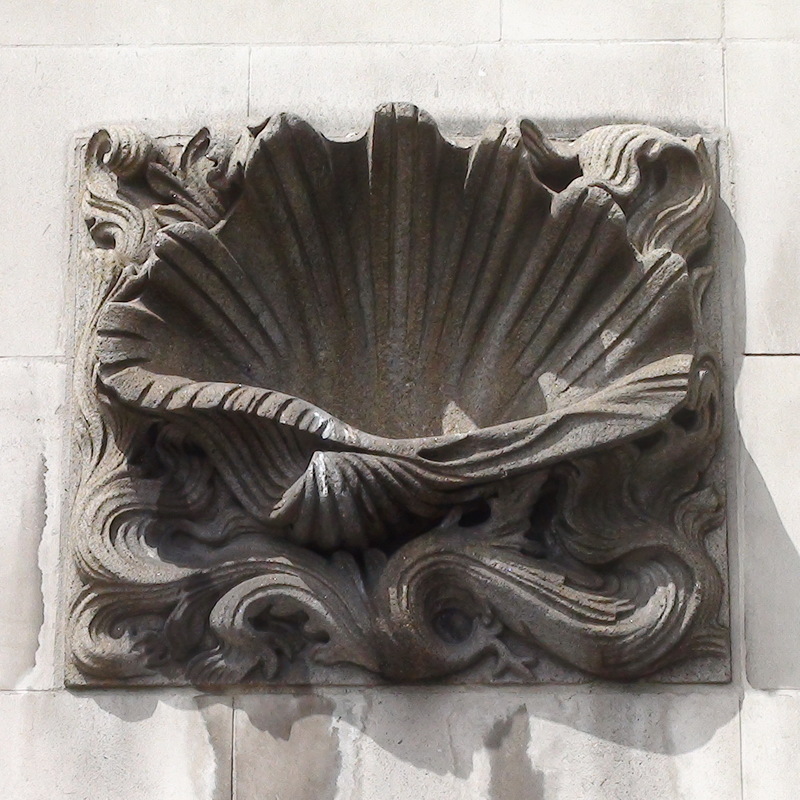 We photographed these rather luscious shells thinking they probably came off another building belonging to the company, probably one they were moving out of, and that with some research we'd be able to identify it. No such luck. They could be from the 1950s but their (lack of) integration with the building makes us think they have come from elsewhere. From the 1920s, 30s? We have some other shells, but of a different quality. Designed by Sir Howard Robertson for the Royal Dutch Shell group of oil companies, constructed 1957 - 1962, both sides of the Hungerford Bridge railway line, known as the upstream and downstream buildings. Two underground tunnels supposedly connected them. A London Inheritance have photographs taken in 1980 from the (briefly open) public viewing gallery. The pair of shells can be seen in our photo marking the entrance from the public walk-way. We are glad we captured this shell when we did, since by July 2016 the Upstream building had been demolished. Wonder if they kept the shells. In memory of the victims of the Hungarian uprising of 1956.